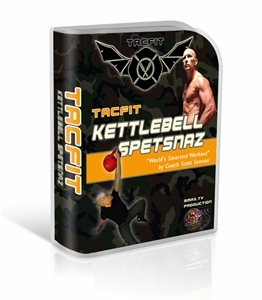 TACFIT Kettlebell Spetsnaz is the most sophisticated and original kettlebell program on the market today. It taps into nervous system sophistication by using simple exercises at the lowest level and adding small pieces of complexity when your nervous system is ready to take on the next challenge. This translates to rapid results, refined coordination and timing, and the ability to learn complex new skills with ease. The program includes four levels of difficulty (beginner to advanced) for 4 full months of training progressions.